Delivered by SERVEDUC S.R.L. in Buenos Aires, Argentina. Course timetable and workload are agreed between the student and our agent when the student buys the course in his country of origin. Our agents have a recommended package combinations table and the Spanish command evaluation test we assess locally. All courses are one-to-one tutor-pupil programmed. In the case of couples or small groups of friends the one-to-one tutor-pupil ratio is carefully maintained in the Outdoor First Hand Experience lessons. We have a make-our-students-money-worth-policy which has always reflected in high learning standards and students recommending new students. Our daily Spanish Grammar and Language Use classroom lessons cover from a minimum of 2 to a maximum of 4 hours and are scheduled upon student academic requirement. They are agreed and planned, either through the local agent in the student country of origin or when there is no agent, after the Spanish command evaluation is taken upon student arrival in Argentina. These classroom lessons start at 09:00 a.m. Educational material is included in the course fees. Refreshments for coffee breaks are free of charge as part of our hospitality tradition. Daily Outdoor First Hand Experience lessons foster contact with the local culture and an intensive language use is programmed for the balance time allowed between classroom lessons and a maximum of 8 total hours of work in a day. The length of these activities must be chosen as course option when buying the course. This closes the working day at 06:00 p.m. the latest. From that time onwards the student is free. During the one hour lunch break tutor company is free, but not the cost of meals. During the Outdoor First Hand Experience the pupil will be permanently accompanied by the tutor and prompted only when necessary. The pupil will have to approach and contact locals, i.e. : speak and communicate, read and write when necessary and as required in order to strengthen command and fluency of the Spanish language as well as self-confidence. 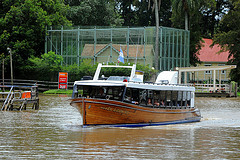 This set of activities does include city tours and several visits to attractive traditional places. Students are received at Ezeiza International airport upon their arrival in Argentina by the tutor and driven back to the same airport upon departure once the course is due and completed. On the last day of the course, students are the Head tutor’s guests for dinner at home with his family. Hospitality, courtesy and care, some of our institutional characteristics. SERVEDUC S.R.L. recommends the courses to be taken in batches of 5 learning days, the course never to last less than one batch nor more than three. Special lengthy cases may be considered if duly justified. Once a student finishes the local course, access to the LearnWell distance education platform is granted on a free basis. This self-study learning platform is intended to serve as academic support to all SERVEDUC S.R.L. past students, to enliven their knowledge and foster an interest in the Spanish language. The Intensive Spanish Language Immersion Courses fees include tuition only. Transportation from and to country of origin of the students, lodging and accommodation, meals and any transportation expenses are not included in our fees. Students should take a health insurance system such as Universal Assistance or similar as well as anti influenza vaccination. SERVEDUC S.R.L. 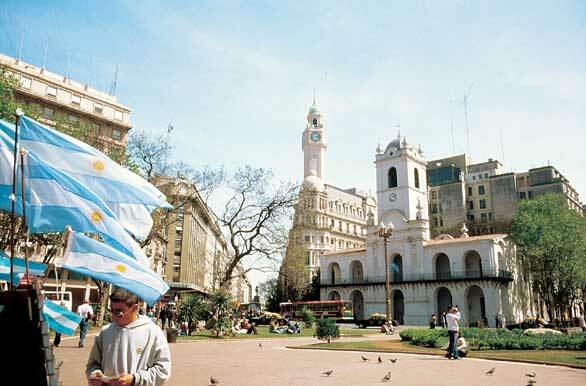 can help students to find convenient lodging and accommodation during their stay in Argentina upon request. Copyright: ®SERVEDUC S.R.L. - 2013 - All Rights Reserved - Todos los derechos reservados.